A TEENAGER who was arrested in relation to a water charges protest where Tanaiste Joan Burton was trapped in her car has claimed the way gardai treated him was "degrading." The 16-year-old arrested at his home in Tallaght was one of four people detained yesterday over the protest that took place in Jobstown last November. Groups of protesters assembled outside Tallaght and Rathfarnham garda stations where two men and a woman aged in their 20s and 30s were being questioned along with the teenager. All four were released without charge and files have been sent to the DPP. Speaking to the Herald the fifth year student claimed that up to 10 gardai "nearly broke in the front door" when they arrived at his home shortly after 7am. 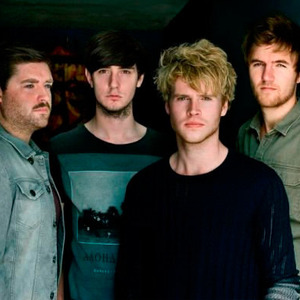 "It was degrading in the way we were treated as a whole. "I'm a student and I should have been going to school, getting an education. I have exams coming up and everything. "But instead I ended up going to the local garda station for nothing," he said. The four arrests came a day after Socialist TD Paul Murphy, two Anti-Austerity Alliance councillors Kieran Mahon and Mick Murphy, and Scott Masterson, a spokesman for Tallaght Eirigi Republican Group were also arrested on suspicion of false imprisonment of Ms Burton at the Jobstown protest. They were all released without charge on Monday, again with files sent to the DPP. Mr Murphy has responded to his arrest claiming it was "an exercise in pure political policing". "There is no basis for these charges, so let them charge us. Let's have a court case, let's have a jury, because we're not guilty," he said on Monday. 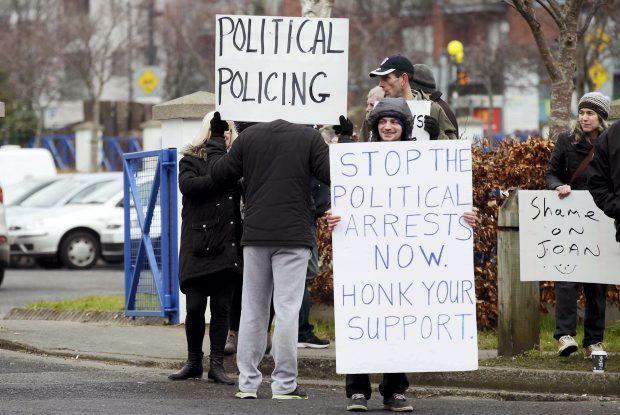 Protesters at Tallaght were carrying signs that read "Political Policing" and "we were there, arrest us too". Mr Murphy described the fresh wave of arrests as "an attack on the people of Jobstown" and claimed that "the whole thing was an incredible waste of garda resources". "I think the timing of this is an attempt to criminalise anti-water protesters" Mr Murphy said..
"The question is why four arrests? I think they [gardai] only have the capacity to arrest four people at a time," Mr Murphy said, adding he "wouldn't be surprised" if there are more arrests today.